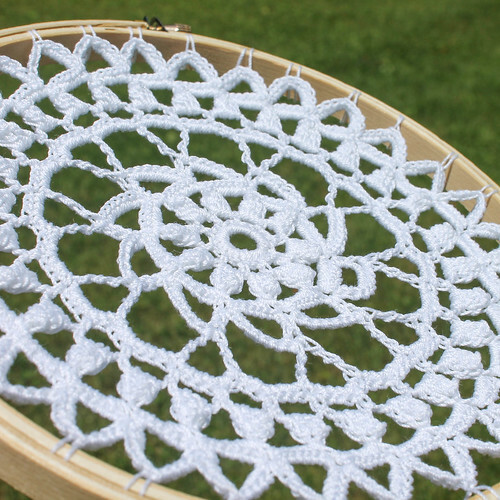 I have a couple more doily dream catchers to show you! I find neutral colors very simple and calming, and I think they look great against natural wood! 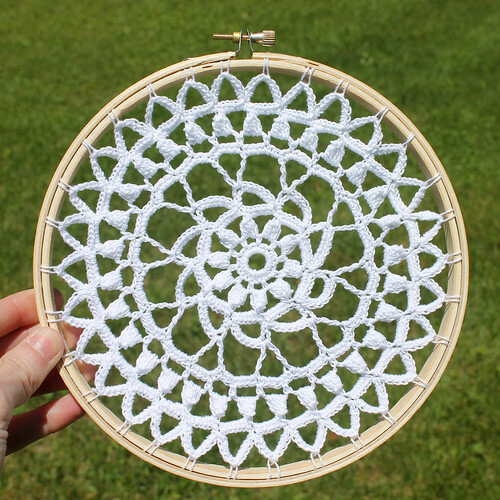 The specifics: 7 inch embroidery hoop, size 10 thread in white, 1.65mm hook, and the pattern Pineapple Wheel Luncheon Mat. 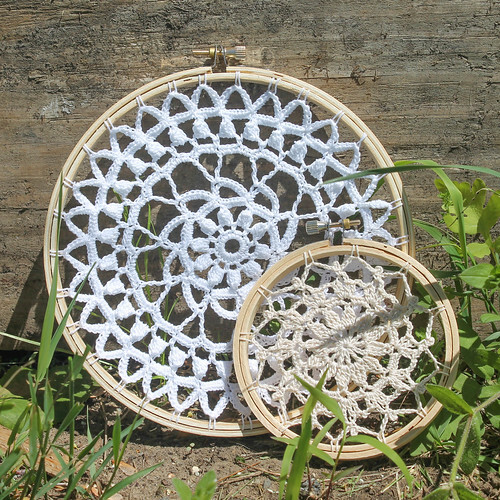 The specifics: 4 inch embroidery hoop, size 10 thread in color "natural," 1.65mm hook, and pattern Motif Luncheon Set. These just make me happy. 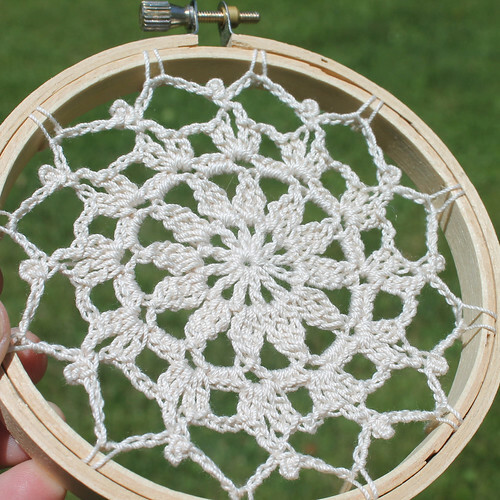 Maybe it's because they are like delicate, lacy mandalas! Do you guys find that sometimes you are drawn more to neutral colors and other times to brighter, bolder colors? 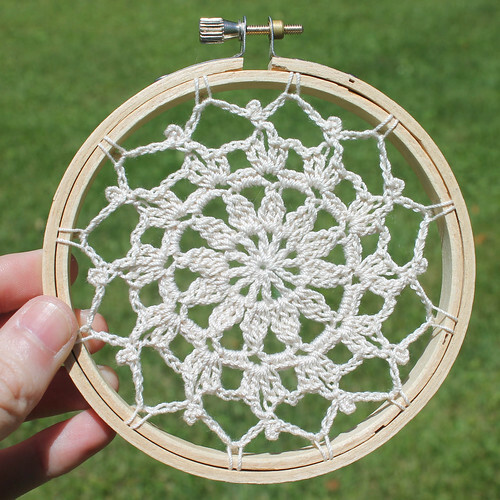 your work is beautiful, even if in neutral colours!!! Beautiful. I especially love the dimentional look of the first one. You have have many amazing patterns. I tend to lean towards the natural tones rather than the bright colors...however, I've been trying to force myself to use more color! I love the neutral colors that you've used here. These are so pretty!